We are the leading organization in the industry to provide our clients the best quality range of Conventional Fire Alarm System. Age old trusted technology of fire detection is still as good and relevant as it was when invented. In fact use of microprocessor based panels has not only reduced the size of the system but has also enhanced the capabilities of system. 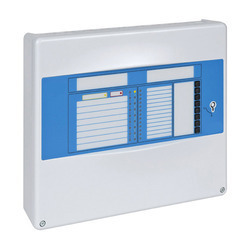 We offer our clients an optimum quality range of Intruder Alarm System which is manufactured at our vendor’s end using the best grade components and advanced technology. 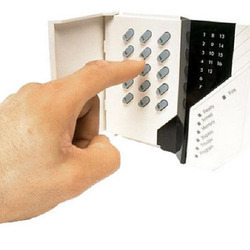 This alarm system finds its best usage for preventing the unauthorized access of persons. Owing to its superior functionality and minimum maintenance features, this alarm system is widely demanded by our clients. Furthermore, to ensure the optimum performance, the provided alarm system is rigorously tested by our quality controllers on different quality parameters. 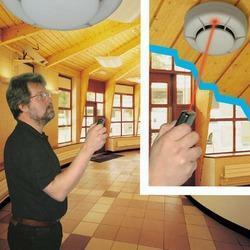 Big buildings and high importance places need extremely accurate information of fire detection. Addressable Intelligent Fire Alarm System assist to pinpoint the location of detector where fire has occurred. Functionally the system is similar to conventional systems except the scalability is possible and integration with other security systems & BMS systems is also possible.